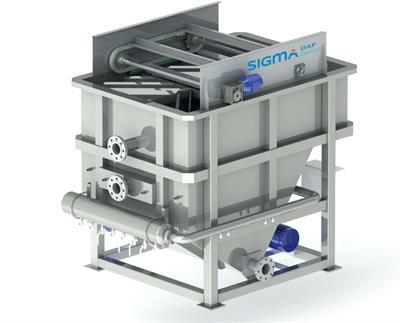 SIGMADAF Clarifiers is a water treatment company with over 20 years of experience in the field of DAF manufacturing and whose infrastructure is based in providing a modular, cost-effective and proven solutions. Our main activity is the design and manufacture of DAF but we also provide alternative or complementary solutions to reuse water and be applied to the agriculture or other industries. We did our first exportation to México in 2013 and we have been expanding to other countries ever since. (Peru, Chile, Norway, United Arabic Emirates, etc.) We are committed to continuous improvement and have established a quality management process, which provides a framework for measuring and improving our performance. 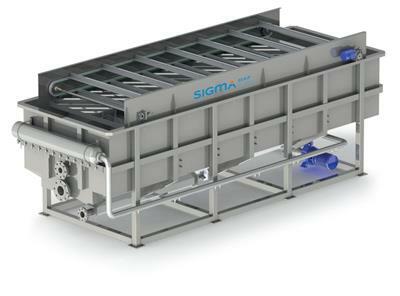 The SIGMA DAF flotation systems has become the most versatile clarification system and makes the solution for a wide range of problems. Flotation consists of attaching air bubbles to suspended material, causing a net reduction of specific weight. The micron size bubbles are produced by dissolving air into the wastewater at elevated pressures followed by its subsequent release to atmospheric pressure. When the pressure is reduced to atmospheric conditions, the dissolved air, present in excess of saturation, is released as extremely fine bubbles attaching themselves to the suspended solids. The solids, fats and floes float to the top of the dissolved air flotation cell and are removed by a skimming or scraping device. 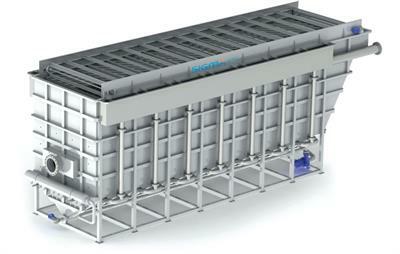 To effect flotation, a recycle pressurization system is used. 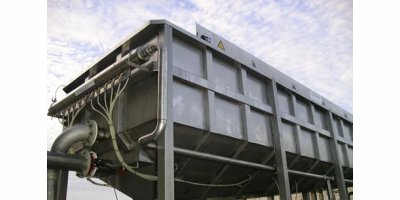 Part of the treated effluent is drawn-off, into which air is dissolved at an elevated pressure and mixed downstream of the pressure release device.